As I write this blog we are in the grip of a heatwave. The garden furniture is out, and we are all making the most of the fabulous weather (it will probably be raining by the time you read this!). In the UK we do have a bit of a love-hate relationship with the heat, retreating inside when it all gets too much. The way we furnish our homes can really affect the way we experience the seasons, from helping us stay cool or cosy to trends closely linked to the time of year, think winter whites or summer brights. 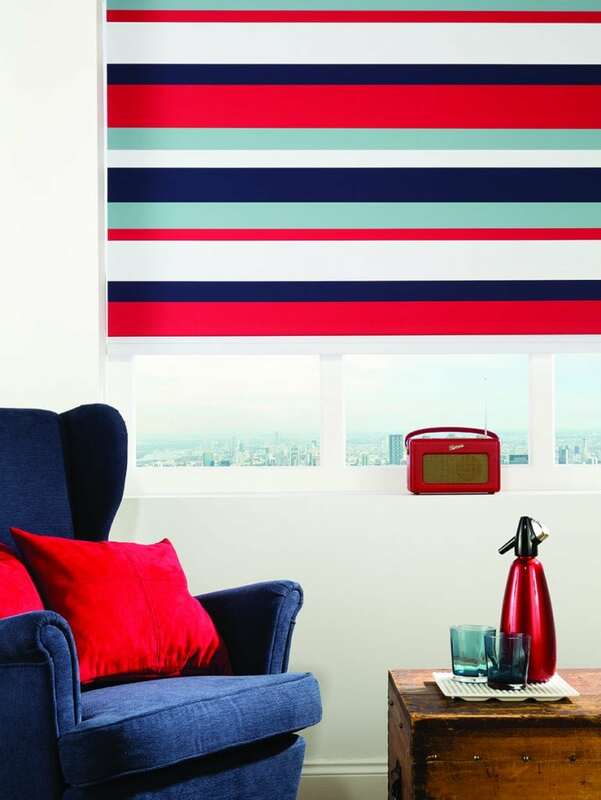 You can get your blinds and curtains summer ready in a variety of ways. 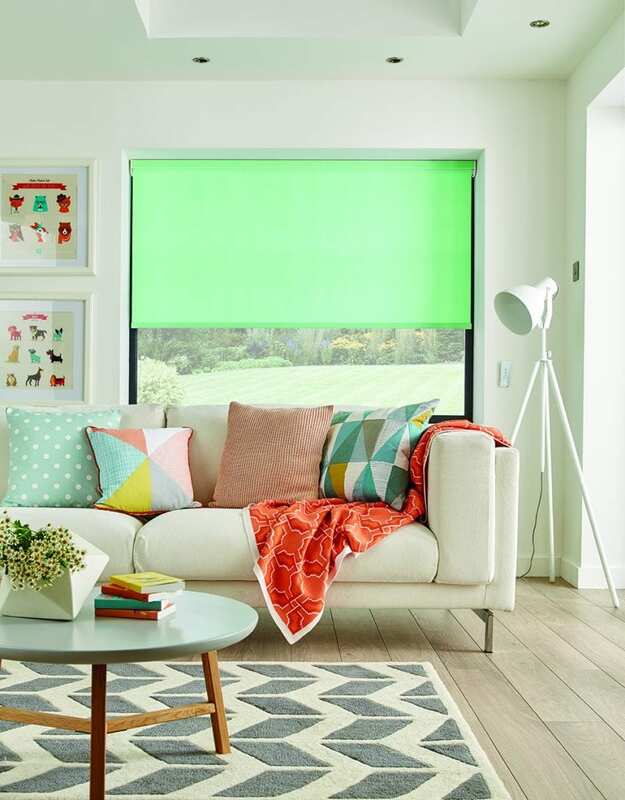 From summer inspired prints and colours to blinds that stop us overheating. Whether you are decking out your home or a conservatory, we’ve got a solution for you. From the bluest blue to turquoise and aqua, this versatile shade just says summer. 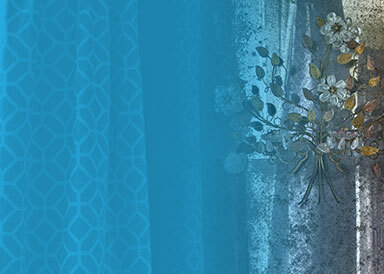 Choose your curtain fabric or blinds in this colour to conjure up visions of the sea or a clear cloudless sky. The colour blue can also have a cooling effect on a hot day and can even create a sense of calm. 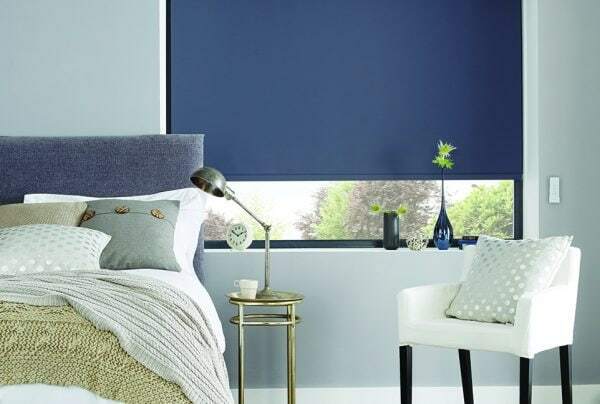 Here at Norwich Sunblinds, we offer a wide range of fabrics in the colour blue. 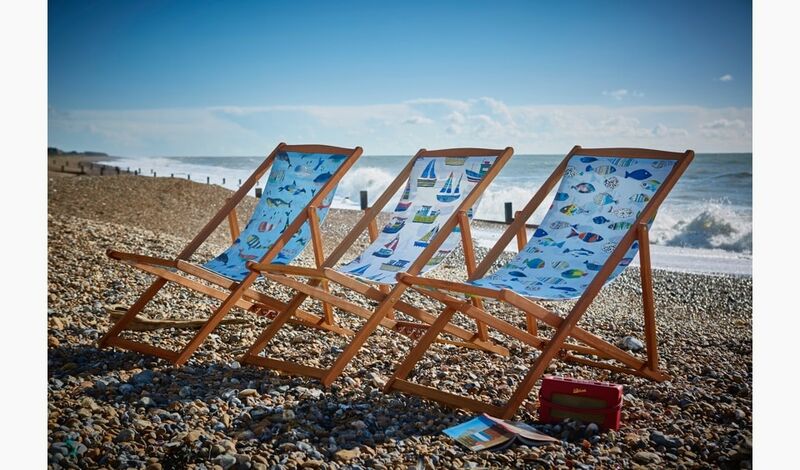 Do get in touch or visit one of our showrooms to see samples and start creating your summer inspired soft furnishings. Nothing says sunshine like a bright and bold print. 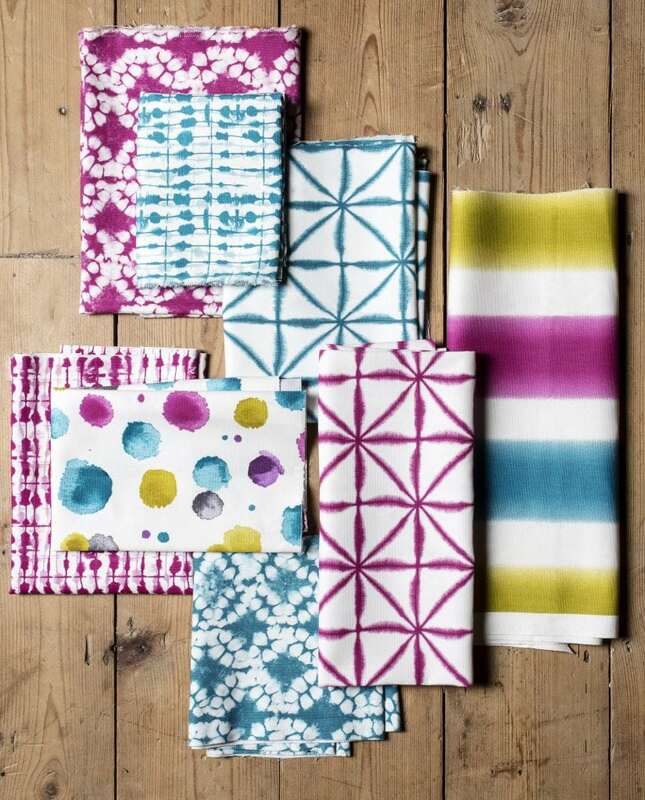 Whether you love geometric, ditsy or block prints, the more colourful the better. Team your bedroom curtains or kitchen blinds with cushions or accessories in a similar tone to make your colours pop! Let the vibrancy of your rooms match the brightness outside. Blinds can have benefits beyond the aesthetic. 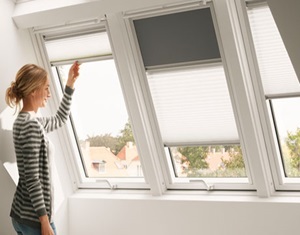 If you opt for VELUX blinds, as well as the usual roller, venetian and pleated blinds you can also enjoy a range of benefits including protection from insects and heat reduction, making them ideal for summer. If you’re looking for blackout blinds, VELUX Duo blinds give you the best of both worlds, giving you the option of total blackout or softly diffused natural light. 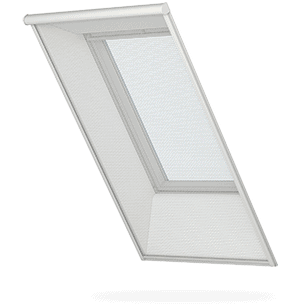 Velux Duo Blackout Blind – control the light at any time of day or night. We all love wildlife but although insects are vital to the planet we don’t necessarily want them in our homes. VELUX insect screens offer 100% insect protection while still enabling you to feel the fresh air. Keep insects at bay this summer. 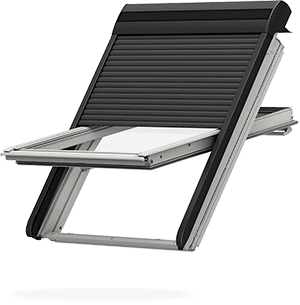 The VELUX awning blind reduces passive heating by up to 72%, keeping back the sun’s rays before they hit your windows, helping you stay comfortable inside your room. Another benefit is that you can still enjoy the view of your summer garden, as the awning blinds are transparent. VELUX roller shutters help prevent your room from getting too hot in the summer months while also keeping it warm in winter, making these shutters ideal for all seasons. To find out more about the VELUX range, contact the expert team at Norwich Sunblinds or visit our showrooms in Norwich Lanes or Attleborough. Channel this season’s key trend and go flamingo. It can’t have escaped your notice that the shops are brimming with things inspired by this stunning pink bird, from cushions to pool inflatables and bags. 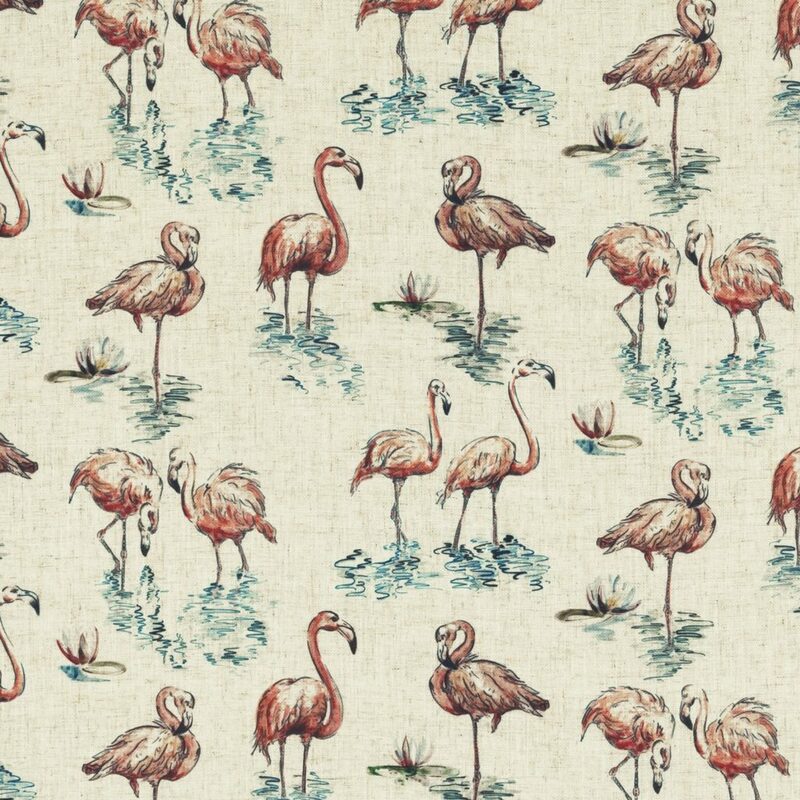 Flamingos not your thing? You might like a print with another animal or birdlife. Just ask one of our friendly team, we can find a wild design to bring your perfect blinds or curtains to life. 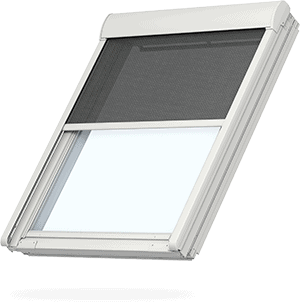 Rather than acting as a barrier, shutting daylight and fresh air out, advancements in blinds allow us to feel the outdoors inside. Allusion™ blinds from Louvolite are ideal for windows, bi-fold and patio doors. Made from a delicate flowing fabric, Allusion™ blinds enable you to walk through effortlessly to your outside space, you can literally glide from the living room to your garden. The blinds filter the light while allowing you to see through and also give you complete privacy. You can opt for coloured headrails and coordinating facias in white, black or the on-trend shade anthracite grey. Louvolite also offer Perfect Fit blinds, which are ideal for summer, giving the perfect combination of shade and ventilation. 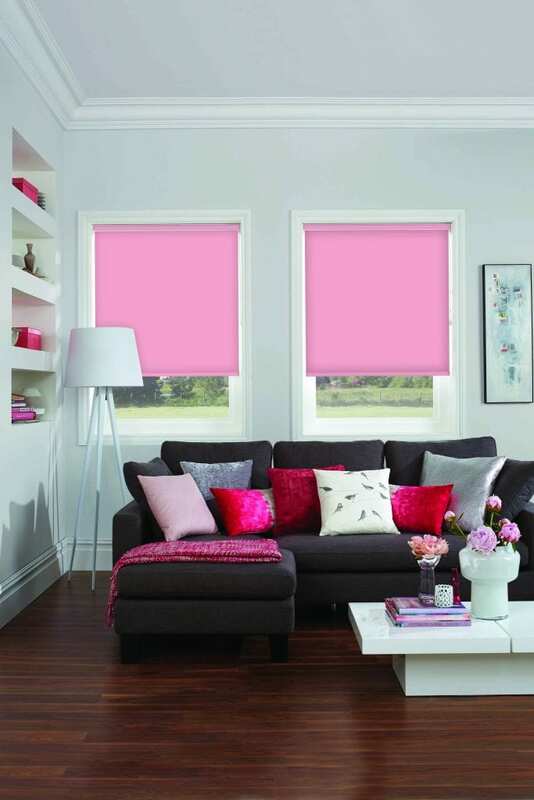 To find out more about blinds from Louvolite, speak to a Norwich Sunblinds expert today. Just perfect for cooling down on a hot summer’s day, ice cream can also inspire a colour choice for your blinds and curtains. From mint, strawberry, vanilla, sherbet lemon to peach, we have a range of pastel shades that could grace any ice cream cone. Which one will you pick? Mint choc chip ice cream? 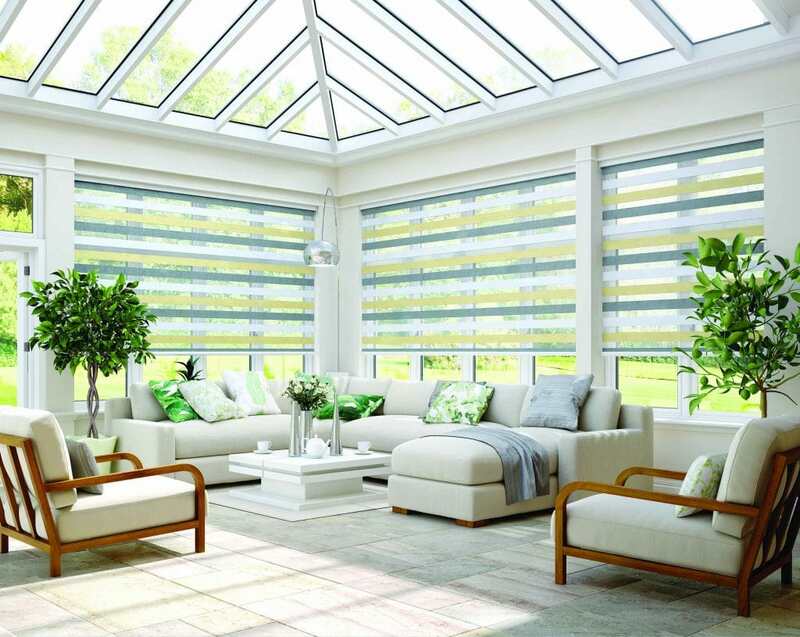 Conservatory blinds are essential, especially during the summer months, providing much-needed shade. Here at Norwich Sunblinds, our conservatory blinds are made to measure by expert craftspeople, ensuring a perfect fit even for harder to reach spaces. Our blinds also come with a five-year guarantee, giving you peace of mind. 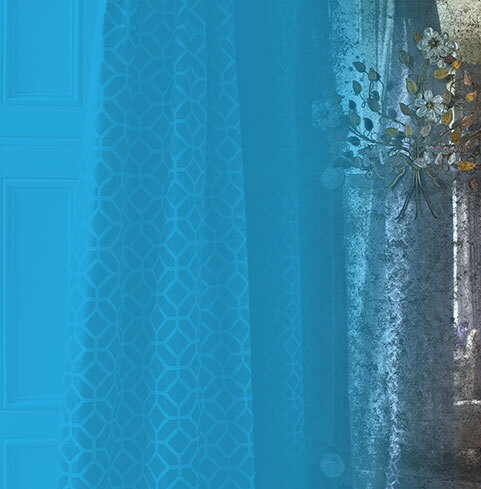 We provide curtains and blinds for conservatories and garden rooms, enabling you to control light and privacy easily. Choose from pleated blinds, perfect fit, wooden, roller blinds, vertical blinds, roman folds and curtains, visage blinds and vision blinds, motorised blinds and sails. Book a free design consultation today to find the ideal solution for your garden room or conservatory. 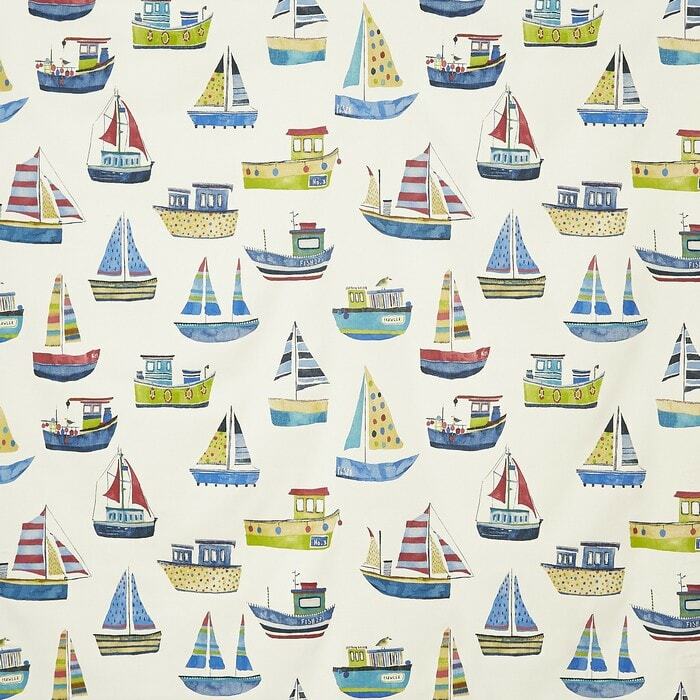 Whatever your idea of summer, we’ve got a print to match. 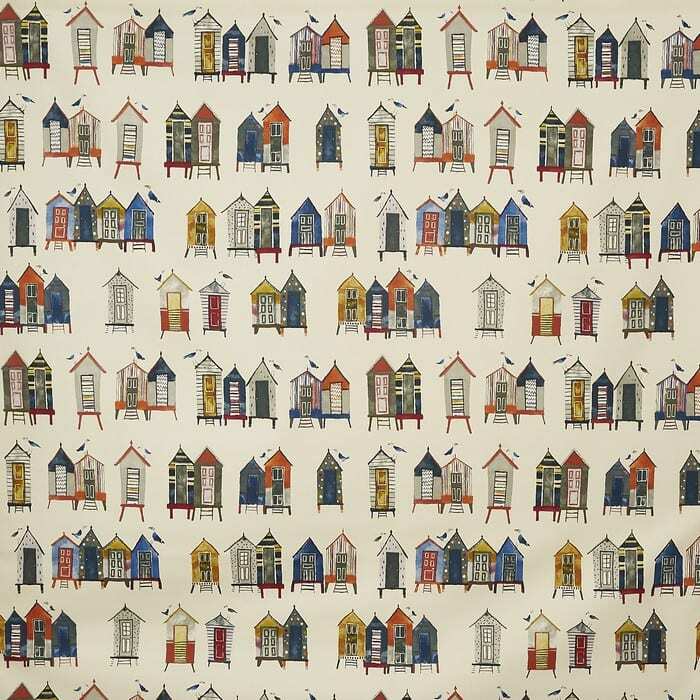 Whether it’s beach huts, boats or nautical stripes. You can view our wide variety of fabrics in our showrooms in Attleborough or Norwich Lanes or a Norwich Sunblinds expert can visit you at home where you can browse through our fabric samples. Book your in-home consultation today. Enjoy lazy days at sea! 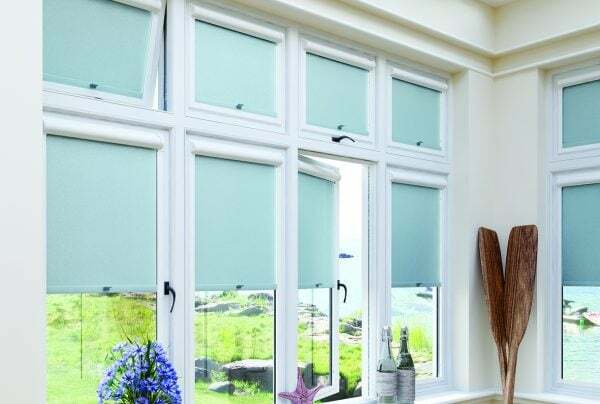 Norwich Sunblinds can help you get summer ready but don’t forget our blinds are also fabulous in winter. 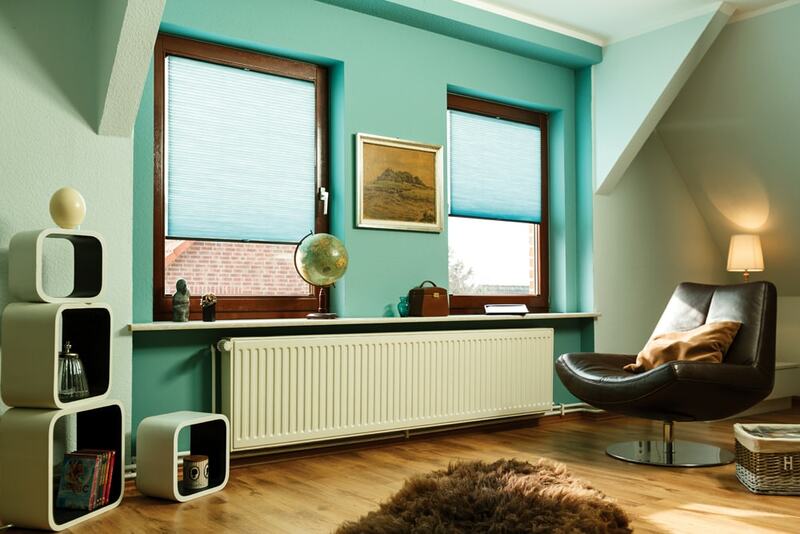 While offering heat protection on sunny warm days, blinds can also help keep you warm in the colder months. With Norwich Sunblinds you will get gorgeous blinds and curtains made by expert craftspeople at great value for money whatever the season. Arrange your in-home consultation today! 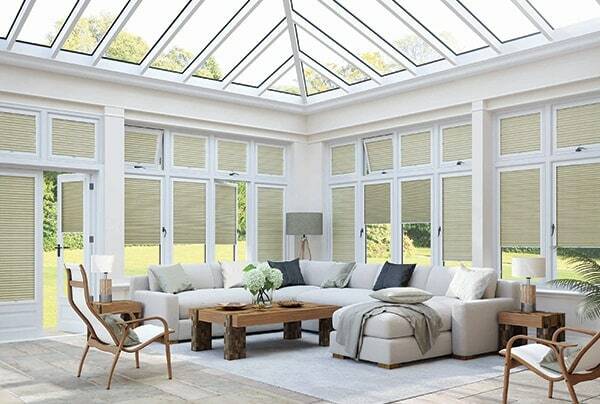 Made to measure conservatory blinds and garden room blinds in a huge range of styles and sizes - we have solutions even for those hard to reach areas. Perfect Fit blinds are easy to install and move with doors and windows, offering a Child-safe, stylish, practical solution.